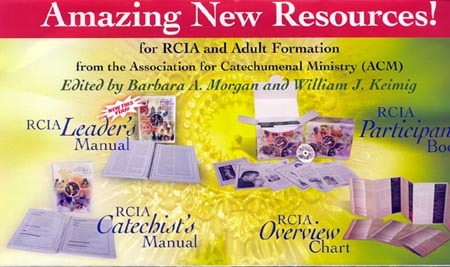 Tired of Watered-down RCIA Materials? Then I have good news for you! Over the last 10 years Barbara Morgan and her team from Franciscan University in Steubenville Ohio have been laboring to provide vibrant, new and orthodox material for RCIA teachers and students. I cannot recommend this material more. Click on the image to visit the Association for Catechumenal Ministry. If you are an RCIA teacher, a pastor or deacon, or even if you know someone who is, check out this marvelous material.